Meet Our Staff | Jesus Is LIFE! Matt is originally from Sugar Land. but joins us from Kingwood Bible Church in Kingwood where he served the past four years working with youth. He has served in various capacities in a number of Baptist churches over the last 14 years. Matt and his wife, Danyelle, have three children, Seth, Sierra and Hannah. The family looks forward to meeting new friends and becoming involved in our community. 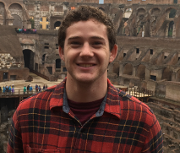 Caleb is a student at Texas A&M who is majoring in Communication and minoring in Business. 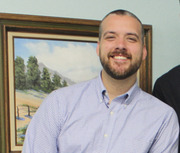 Caleb has been on staff at FBC since February 2018. Previously Caleb has served at summer camps and at other churches as a youth intern. We are glad to have him here working with our youth. I am Janet Vaughan, the director of our Preschool Discovery Days Program. I retired after 30 years of public school teaching. I thank God for the blessings I have recieved in working with out staff, the children, and their families. 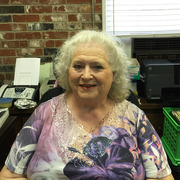 Carolyn was born and raised in Milano, Texas. She is the daughter of John and Joyce Yakesch. In 1968 she married Gary Vinton, and they have two children. 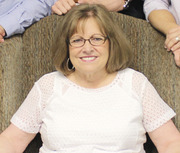 She has been employed at First Baptist Church since July 18, 2011.